Come home to your award winning Cienega Townhome that celebrates classic 1920s and '30s Spanish Revival architecture. Cienega pays homage to that timeless era by artfully combining the best of yesterday's highly detailed architectural style with today's most sought after amenities. 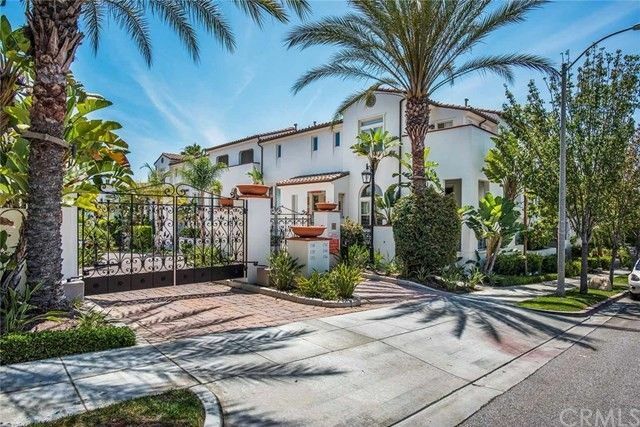 Set amidst Spanish-style gardens and behind a gated motor court entrance this lovely home is accented with wrought iron details, custom Spanish tiles and plenty of natural light from its premier south facing location with terrific outlooks! Situated in one of the premiere buildings within the complex, this "Carerra" building location is quiet and offers nice outlooks from your master suite and it is sure to impress. Custom Kahrs Swedish imported wood flooring throughout including the staircase, new energy efficient LED recessed lighting throughout, modern Quartz kitchen counter tops, stainless gas appliances, custom interior designer paint, amazing remodeled bathrooms with custom tile work and new hardware and toilets and cosmetic enhancements, master bath dual vanities, custom window treatments throughout and more make this home a must see! This home also offers private laundry room, attached 2 car garage, ceiling fans in the bedrooms and the list just keeps going on!! There is plenty of outdoor space such as a covered front porch and master bed balcony to allow the outside in and is great for entertaining or enjoying the views and outlooks! There is plenty of storage as well! VA approved complex!